Pleased to share news about Dr. Jane McAdam (right), who just a few days ago contributed a Read On! post about her new book, Climate Change, Forced Migration, and International Law. Since she joined IntLawGrrls back in 2009, Jane has been promoted to Professor of Law at the University of New South Wales in Sydney, Australia, where her courses include Forced Migration & Human Rights in International Law, Public International Law, and International Refugee Law. 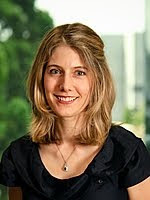 In addition, Jane is now is a Non-Resident Senior Fellow at the Brookings Institution in Washington, D.C.
At the UNSW Faculty of Law, she is an Australian Research Council Future Fellow and also continues to serve as the Director of the International Refugee and Migration Law project at the Gilbert + Tobin Centre of Public Law. She still serves as a Research Associate at the Refugee Studies Centre of the University of Oxford, from which she earned her doctorate and where she directed the 2008 International Summer School in Forced Migration. Jane continues to publish widely. 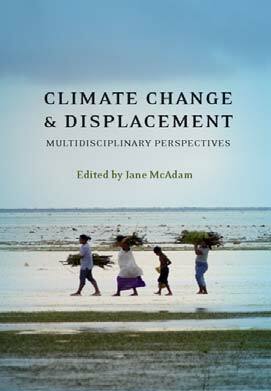 In addition to the book named above and others listed at IntLawGrrls' initial welcome post, Jane edited Climate Change and Displacement: Multidisciplinary Perspectives, published in 2010.